Skrill, formerly known as Moneybookers, has become a favourite banking method for loads of online gamblers in the UK because it’s fast, secure, affordable and really easy to set up. Skrill is available in over 200 countries, over 40 currencies and in addition to being accepted at almost all online casinos, it can also be used for tons of online purchases and transactions beyond gambling. Keep reading to learn more about how to use Skrill for online casino deposits and withdrawals, the biggest benefit of choosing Skrill as one of your e-wallets, the average wait times for different kinds of transactions and some of the processing fees you can expect to pay. We’ll also run down Skrill’s company history to give you some background on why you should trust this company to handle your hard-earned money. 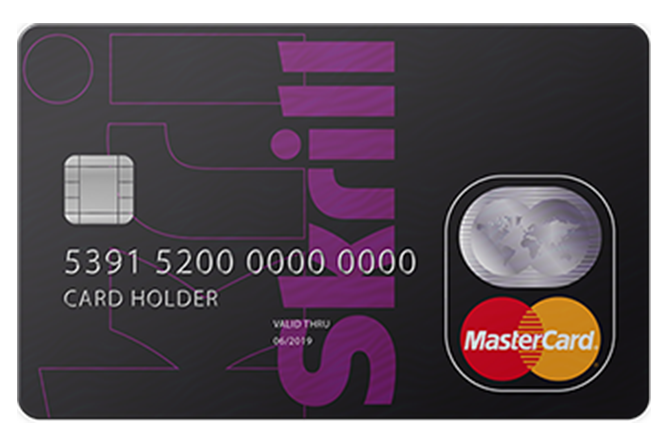 People call Skrill an electronic or digital wallet because it can digitally house multiple payment methods including debit, credit cards and cash in multiple currencies. It’s similar to how your regular wallet works in real life. One advantage of Skrill is how easy it is to get started. Like we said before, a lot of people use Skrill for online shopping and payments that have nothing to do with online casinos so there’s a good chance you already have an account. If you haven’t signed up yet, there’s no cause for concern. Just go to the Skrill website and start the account registration process. You’ll be asked for personal information to verify your identity and you’ll also have to choose a password and enter a few additional security questions. The next step is to link your Skrill account with your bank account, debit or credit cards so you can use it to do transactions. Once your Skrill account is verified and approved you’ll be free to use your Skrill digital wallet to fund your online gambling account. Extra Security – Using an e-wallet, whether it’s Skrill, Paypal or Neteller, adds a lot of safety to your online gambling deposits and withdrawals. Think of it as an extra layer of security between your banking information and the online casino’s system. Using Skrill means the casino never comes in direct contact with your sensitive info. This is a big plus for people who make security a priority and don’t want to leave everything up to the online casino. Low Fees – The truth is, when you’re moving money online you’ll usually have to pay some kind of fee. The good news with Skrill is that they offer lots of services for low and sometimes no fees. There’s a small fee for sending money but no fee for moving money from your online casino account to your Skrill account. There’s also a small flat fee for moving money from your Skrill account back to your personal bank account. Compared to other digital wallets Skrill makes affordability a priority. Quick Deposits and Withdrawals – Once your Skrill account is up and running, which usually takes about a day, you can make virtually instant deposits. That means you can be gambling with your money within minutes of depositing. It’s important to remember that if it’s your first time withdrawing, or if you didn’t make your initial deposit using Skrill, withdrawals can take a bit longer. Most casinos quote 4-5 days for the money to hit your account when withdrawing using Skrill but a lot of the time it’s faster than that. One of the main ways people use Skrill in relation to online gaming is to get money into their online casino account to bet with. Making deposits using your Skrill account is really easy and it starts with making sure the casino you’re playing at lists Skrill as an accepted deposit method. Make sure to check out the casino’s deposit policies before setting up and account if you plan on using this method to deposit. To make a deposit using Skrill just visit the casino’s cashier. Choose deposits, pick Skrill as your deposit method and then enter all the necessary information. As long as your account is up and working properly, the deposit should show up in your casino account in just a few minutes, if not instantly. Using Skrill to withdraw money from your online casino account is just as easy as making deposits. Go to the cashier and begin a withdrawal, choose Skrill as your withdrawal method and enter your account information. Most online casinos post a wait time of 4-5 days for withdrawals using Skrill but a lot of the time it’ll be faster than that. Some factors that will affect the processing time for withdrawals include whether it’s your first time cashing out money, if you used Skrill to make your initial deposit or if you’re cashing out money you received as part of a bonus or casino promotion. If you haven’t withdrawn with Skrill before you can expect some additional security questions to verify your identity. Sometimes this can add time to the processing period but it’s for your own good since you don’t want anyone else to be able to withdraw your cash. Skrill also stipulates that you may be charged additional fees if you use your credit card to make deposits at online casinos. Skrill is careful to point out that these fees come from your credit card provider and Skrill receives none of that money. The company we now know as Skrill was founded in the United Kingdom in 2001 but back then it was called Moneybookers. The digital wallet service was up against competitors that included Paypal, Neteller, among others, and quickly found customers in the online casino and betting industry. In 2007 Moneybookers was purchased by Investcorp, a private equity and venture capital firm based in Bahrain, for €105 million. In 2011, Moneybookers re-branded to Skrill and in 2013 the company was acquired by CVC Capital Partners for €600 million. In 2014 Skrill became the only digital wallet approved by the New Jersey Division of Gaming Enforcement to be used as part of the state’s newly regulated online gambling industry. In March of 2015 Skrill was once again sold, this time to Optimal Payments, the same company that owns Neteller, for €1.1 billion.